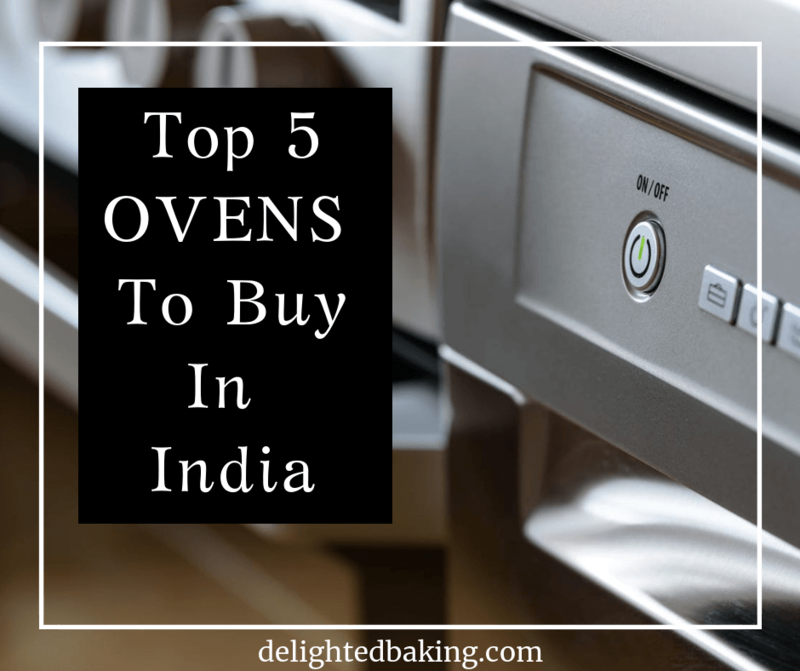 Best OTG Ovens In India (2019) | Which is the best oven for baking in India? 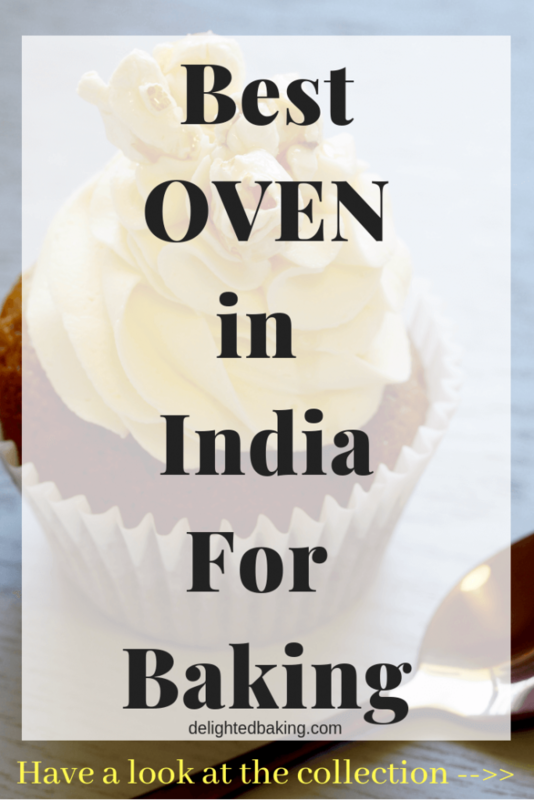 You are here: Home / Baking Basics For Beginners / Best OTG Ovens In India (2019) | Which is the best oven for baking in India? Looking for the best OTG ovens for baking at home? Here’s a list of best OTG ovens in India! Welcome to BAKING FOR BEGINNERS series! This is the 3rd post in this series. The 1st post talked about “How to start baking at home” and the 2nd post gave detailed information about “Essential tools every beginner baker should have“. 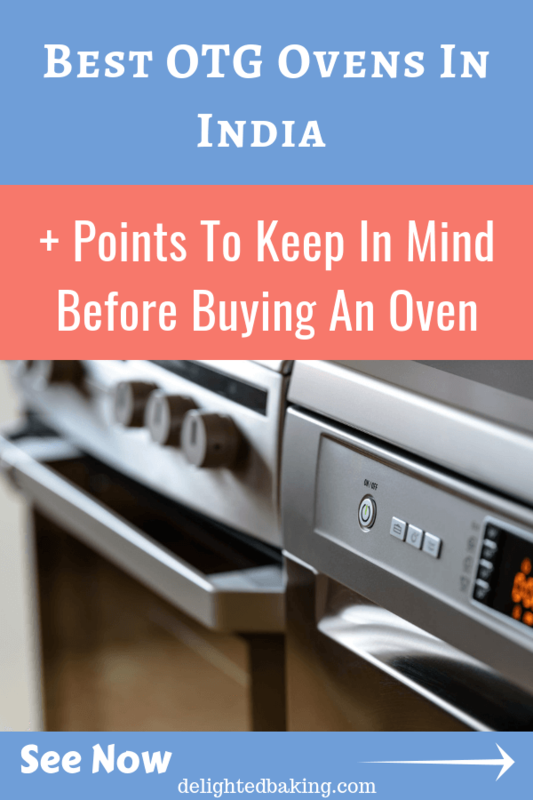 Today’s post, that is the 3rd post in the BAKING FOR BEGINNERS series talks about one of the most important component of baking – OVENS! If you seriously want to get into baking, then definitely BUY AN OVEN! An OTG/Oven is primarily designed for the sole purpose of baking. It is used for baking everything – from cakes, cookies, muffins to tarts, pizza, breads etc. Probably the most important point. Baking might not be a part of your regular day to day activities and therefore investing in an oven might be a big decision for you. Therefore always keep in mind your budget before you go ahead and buy an oven. This doesn’t mean that you should buy the cheapest oven available. Keep in mind all the requirements of an oven that you need for baking. There will be various options of ovens, ranging from different sizes to different functions. Choose the one that suits your baking requirements and not the one which (say) your neighbor has suggested. Size of the oven is one of the most important points to keep in mind. An oven is a one time investment (at least for a good 5 years) and therefore don’t end up making a wrong choice. We will talk more about the size (that is the capacity) of the oven a bit later. Rotisserie is a feature used for grilling. In this the food item is mounted on a rotating steel rod. It is mainly used for grilling whole chicken, turkey, meat etc. It’s an important feature to keep in mind before buying an oven. If you are pure vegetarian, then you might not need this feature as rotisserie is mainly used for non vegetarian cooking. There are several brands available but here we will discuss the top 5 OTG brands in India. These are some of the best selling OTG and if you are thinking of buying an OTG, then definitely have a look at these OTG. This is the OTG I currently use. 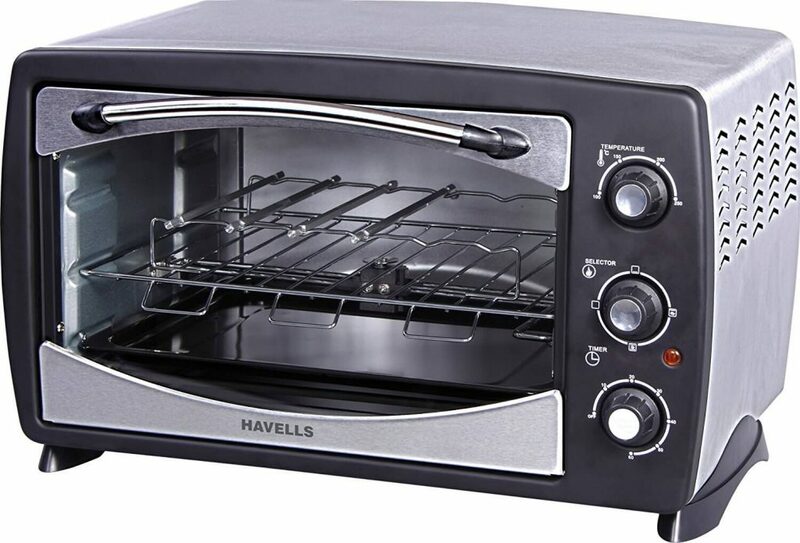 Havells is a well known brand and has a good range of electronic products. I am quite satisfied with my OTG. It bakes properly, distributes the heat evenly and is perfect for baking. 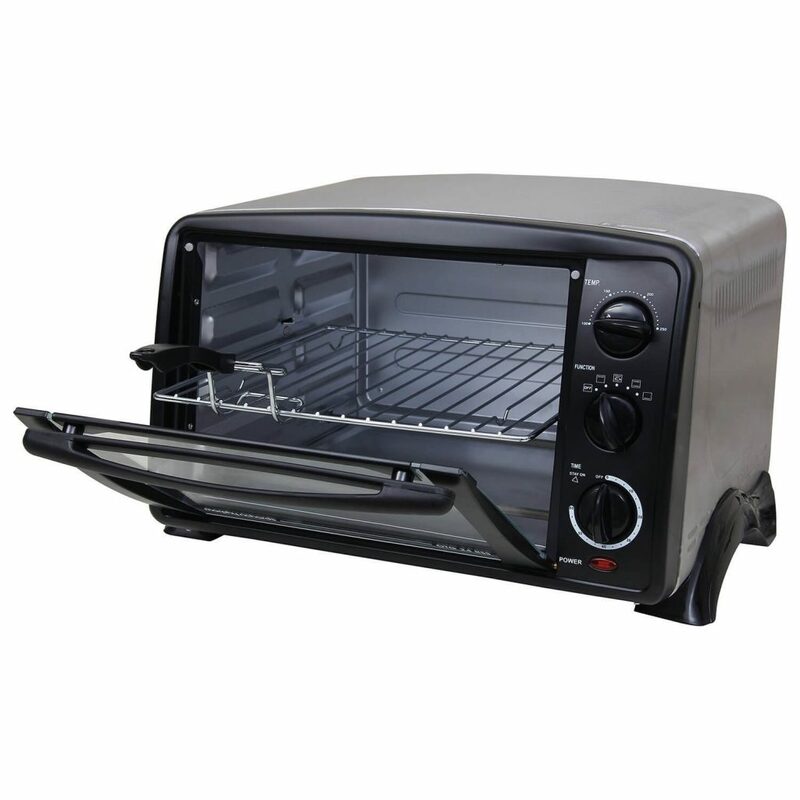 As it is an OTG (OVEN TOASTER GRILLER), you can use it for all three purposes – Baking, toasting and grilling. Baking : Cakes, cupcakes, tarts, pizza, breads, pies etc. Toasting : Toast bread for breakfast or toast leftover french fries for giving them their original crispy taste. Grilling : Grill chicken, meat, paneer etc, prepare tikkas and kebabs and cutlets. Havells OTG has a motorized rotisserie function for all round grilling. It has a adjustable temperature function (100-250 degree Celsius) and a 0-60 minutes timer. On buying this OTG, you will get a cooling rack, a baking tray, a rotisserie rod and a tong along with the main oven. Overall, this is a good option and I’ll definitely recommend Havells OTG. Morphy Richards is one of the most popular OTG brands in India. 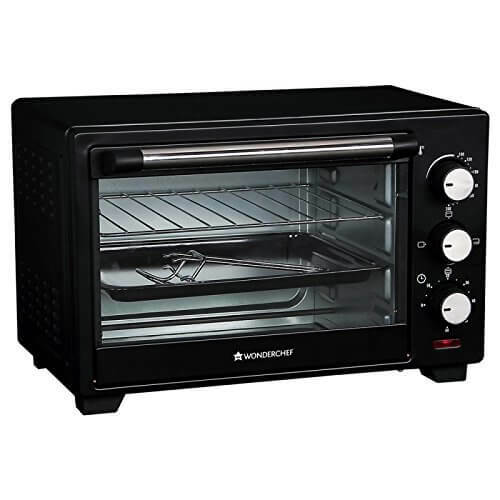 Many people opt for Morphy Richards OTG ovens. Just like Havells OTG, this is perfect for baking, toasting and grilling. Load your favourite vegetables onto the non-stick baking tray, without having to add oil. Slide a chicken or a joint of meat onto the motorized rotisserie for grilling. Or toast large bread slices for making your favourite bruschetta. That’s not all. You can grill tikka style Indian starters, bake your own pizzas, bread, cakes, cookies and crackers too. Be it Indian, Italian, Mexican or a dish of any other country that you have a hankering for, this OTG virtually transforms your kitchen into a world kitchen. So go ahead and don your chef’s cap and apron. A time bypass or Stay On function – This function helps keep the food warm for a prolonged duration of up to 2 hours after being cooked, retaining its freshness and flavours. Motorized rotisserie – The motorized rotisserie comes with forks for grilling kababs and paneer tikka,or broiling or roasting chicken, meat and other food delicacies. Galvanized and rust-proof inner chamber – This is an energy efficient feature that helps maintain heat for a longer time while minimizing heat loss. Wire rack – This rack can be used for making various tikka style dishes that are marinated. While they receive heat from all sides, the excess marination drips on the crumbs tray without messing the floor of the chamber. If not Havells, then definitely go for Morphy Richards. Bajaj is a another popular electronics brand in India. 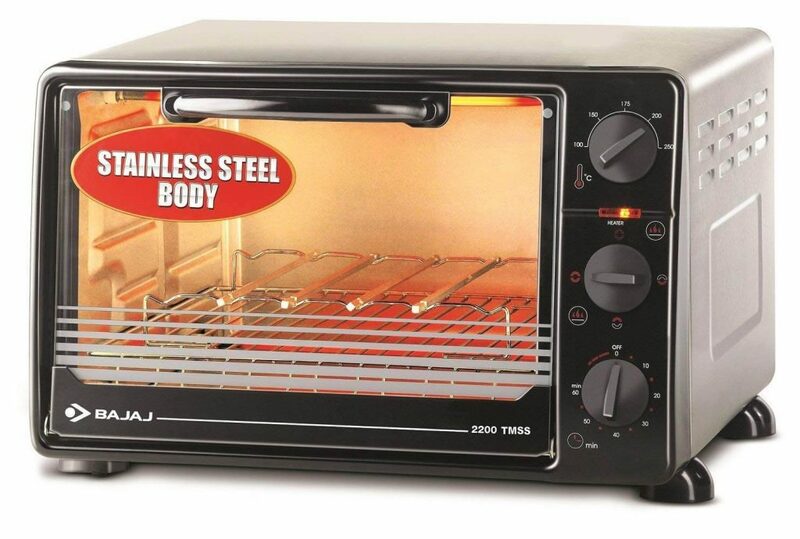 Bajaj OTG is also a great option for those looking for an OTG oven. Not just the Bajaj Majesty Oven Toaster Griller, but, even its accessories are equally efficient. These include: skewer rods to cook your delicious kebabs or chicken; grill racks to make soft and crispy dishes; a baking tray to prepare cakes, breads, cookies, or biscuits; a crumb tray to collect any crumbs or pieces that may fall off during a baking or grilling process and tongs to enable easy handling of the hot items. Don’t hesitate to invite your extended family or friends over for a barbeque party, during the next long weekend break? This OTG from Bajaj empowers you to prepare effective barbeques with the presence of a motorised rotisserie. If you are someone who likes classic and trusted brands, then Bajaj OTG is perfect for you! Wonderchef is an emerging brand in India. It is a brand by the famous chef, Sanjeev Kapoor. I already have two Wonderchef products – Wonderchef Nutri Blend and Wonderchef Tandoor. I am quite happy with both of these products. I believe Wonderchef OTG oven would also be a great option. Bake soft breads and delicious cakes, toast oil-free papads and rotis, grill vegetables, meats and do so much more. Heating element selector – top or bottom. Power input : 220V AC, 2000W. Double Layered Glass Door for safety and energy efficiency. These are top 5 OTG ovens you can buy. All these are perfect for baking and have been liked and approved by baking enthusiasts. Apart from brand, the most important factor is the size or capacity of the oven. An OTG oven’s size ranges from as small as 16 litres to as large as 60 litres. How shall I decide which oven size is perfect for me? If you are a small family consisting of 2-3 members only, then this size of oven is perfect for you. You will be able to bake one 6 inch or 8 inch cake in it at a time. This size is also ideal for you if you are sure that you would not bake on a commercial purpose (that is you would not sell cakes/cookies in the future). In short, this oven is ideal for baking for a small family. 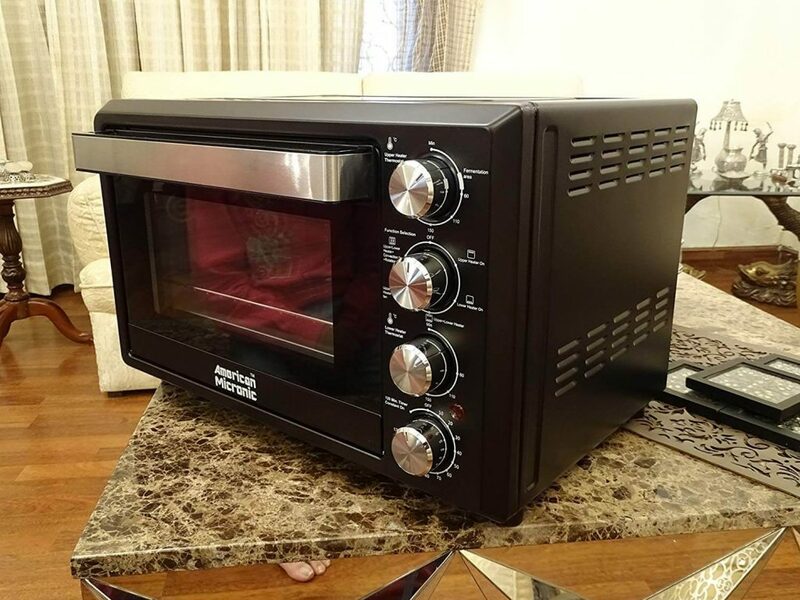 If your family consists of more than 4 members and you also wish to bake for your friends, neighbors or colleagues occasionally, then this size of oven is perfect for you. You will be able to bake 2 cakes side by side. This size is also ideal if you wish to bake commercially in the future. My oven falls in this category. I have a 28 litres oven. I easily bake 2 cakes, 2 bread loaves or 2 medium sized pizzas simultaneously. So, this the largest size category. You can choose an oven with a size of 40 litres and above if you bake commercially. You might have to bake several cakes in a day and therefore this size category is ideal for you. So, this is a basic oven size guide for you. I hope this proves helpful to you! If you have any other questions about OTG/ovens, then feel free to ask them in the comments below. I’ll definitely reply to your questions and doubts. LIKE WHAT YOU READ? Why not PIN IT and share it with others! How to start baking : A Beginner’s Guide to Baking! Essential Baking Tools Every Beginner Baker Should Have! « 21 Amazing Veg Baked Pasta Recipes You Need To Try!